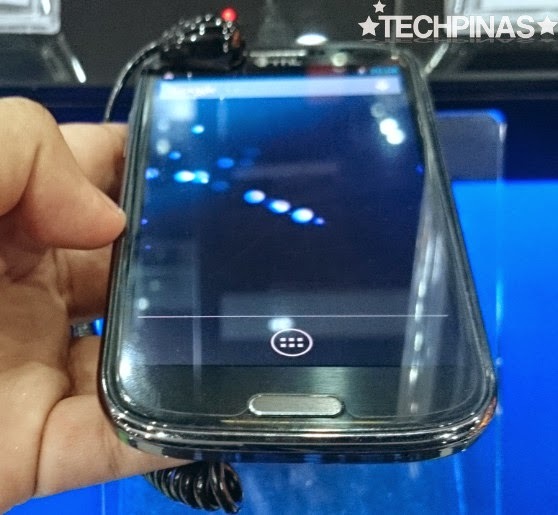 I visited Novo7Tech's new store in Lucky Chinatown Mall in Binondo, Manila last week and I found out that one of their powerhouse Android smartphones is on sale! For those who are looking for an affordable Quad Core smartphone with great specs, you might want to take advantage of this generous offer. 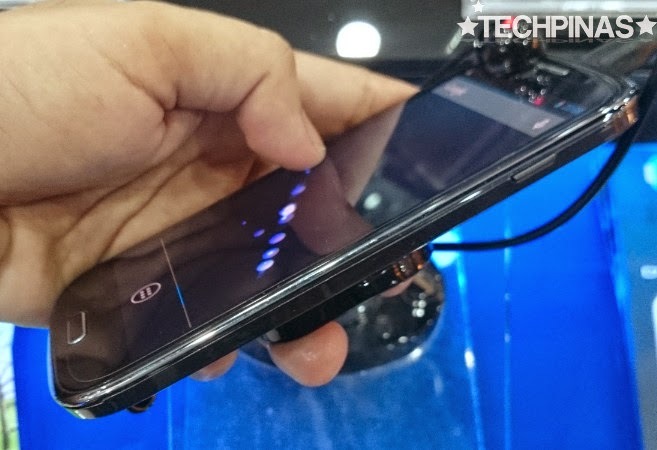 THL W8s War Machine may not be as successful THL W300 phablet - which was introduced by Novo7Tech via TechPinas in Q4 2013 - in terms of sales but its stellar features and technical specifications make it worth checking out. In fact, I consider War Machine to be just a smaller W300 as it has largely the same innards and imaging capabilities. 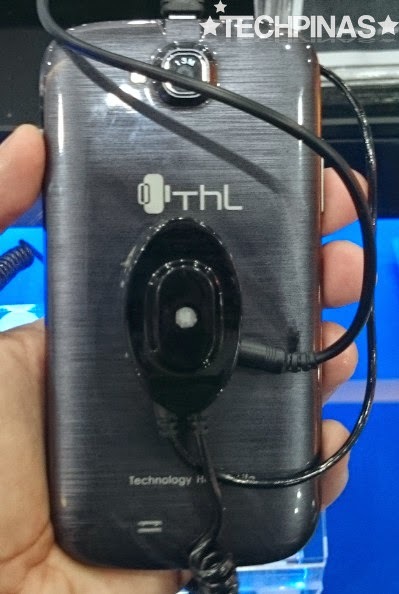 Flaunting a brilliant 5-inch Full HD IPS OGS display underneath scratch-resistant Gorilla Glass 3, THL W8s is equipped with a 13 MegaPixel autofocus camera with LED flash and Sony Blue Lens Filter, 5 MegaPixel front cam for selfies, Full HD video recorder, and a removable 2,000 mAh Li-Ion battery pack, delivering around 2 days of uptime with mixed usage. As for connectivity, this Dual SIM Dual 3G Standby handset supports WiFi, Bluetooth, and 3G HSPA+. Looks-wise, THL W8s looks a lot like Samsung Galaxy S3 having the same pebble-like, rounded design language, metallic rim, and glazed finish. I think it's attractive and it's a device that you won't be shy to put on the table in meetings. But what makes this release quite special are its internal specifications. 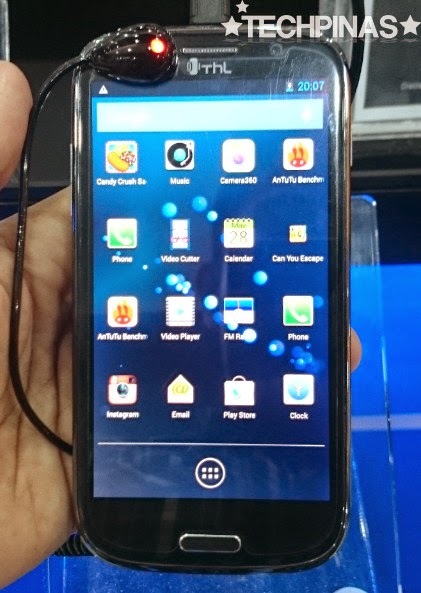 The device runs Android 4.2.1 Jelly Bean operating system sans custom skin with its Quad Core 1.5 GHz ARM Cortex A7 and PowerVR SGX 544 GPU based MediaTek MT6589T system on chip and - unlike other handsets in its price echelon - it has 2 GB of RAM for seamless multitasking and a whopping 32 GB of internal storage that you can further beef up using the microSD card slot supporting up to 64 GB. 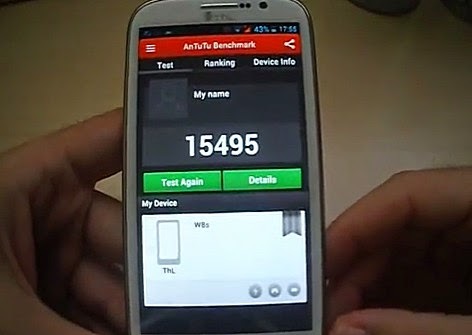 The combination of these innards give THL W8s War Machine an Antutu Benchmark Score of 15,495, supposedly putting it near Google Nexus 4 and HTC One X in terms of actual performance. 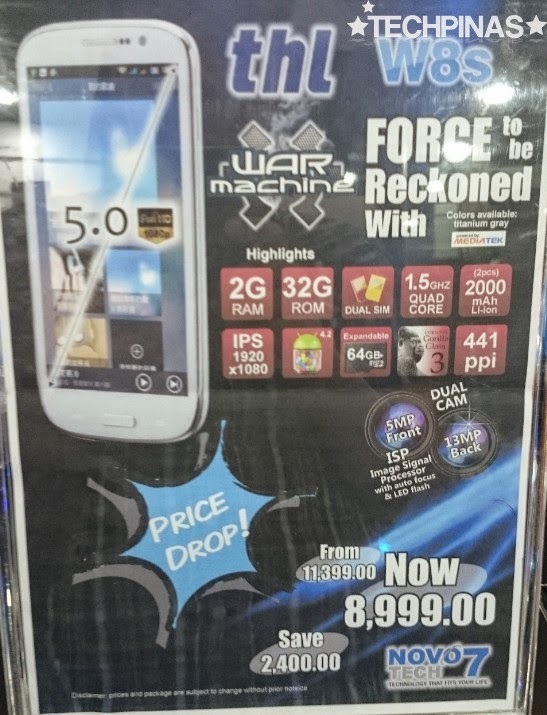 From donning an official SRP of Php 11,399 during its launch last November 2013, you can now get THL W8s War Machine for only Php 8,999 -- that's Php 2,400 less! Considering all the cool and powerful features that the phone has - especially the screen, the camera, the processor, RAM, and ROM - I think that's already a steal.